What a lovely Mother’s Day weekend surprise! 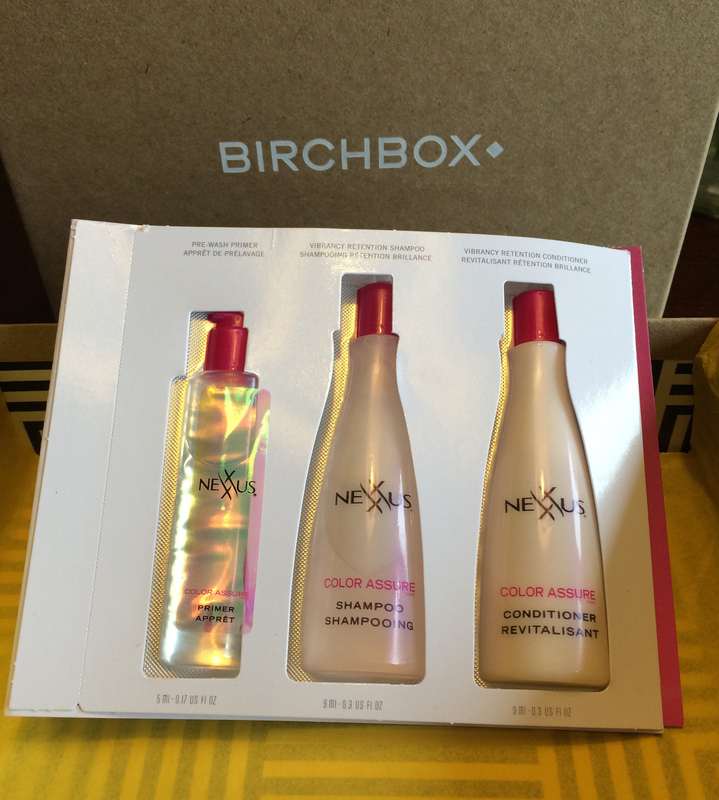 My May 2014 Birchbox arrived yesterday and it was just the ray of sunshine I needed before the snow storm hit. That’s right folks…it’s May 11 and we are expected to get four-nine inches of snow. Thanks Mother Nature…how thoughtful of you! What: A multitasker from the Chicago-founded brand rich in antioxidants and hydrating aloe. How: Smooth a dime-sized amount over clean skin and blend thoroughly. Works for all skin types. What: This oil-infused trio helps keep color vibrant for up to twice as long-without sulfates. How: Smooth primer throughout dry hair before showering. Follow with shampoo and conditioner. What: Dual-purpose balm that hydrates with shea butter while giving lips a pretty wash of color. How: Swipe onto lips for instant moisture. Wear alone or layered under lipstick. What: This lightweight cream provides water-resistant, SPF 30+ protection anywhere you need it. How: Apply a shot glass-sized amount to face and body 30 minutes before stepping outside. 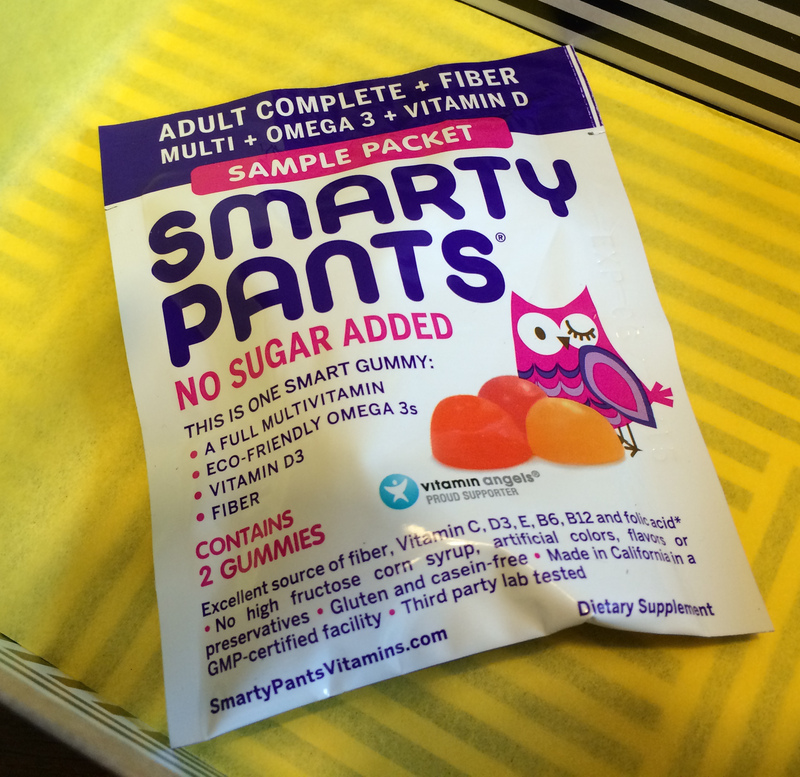 What: These nutritious, natural gummies come packed with fiber to fill you up, and no caffeine. How: Chew six vitamins for a daily dose of goodness – including omega-3 and vitamin D.
Seven samples in this box! 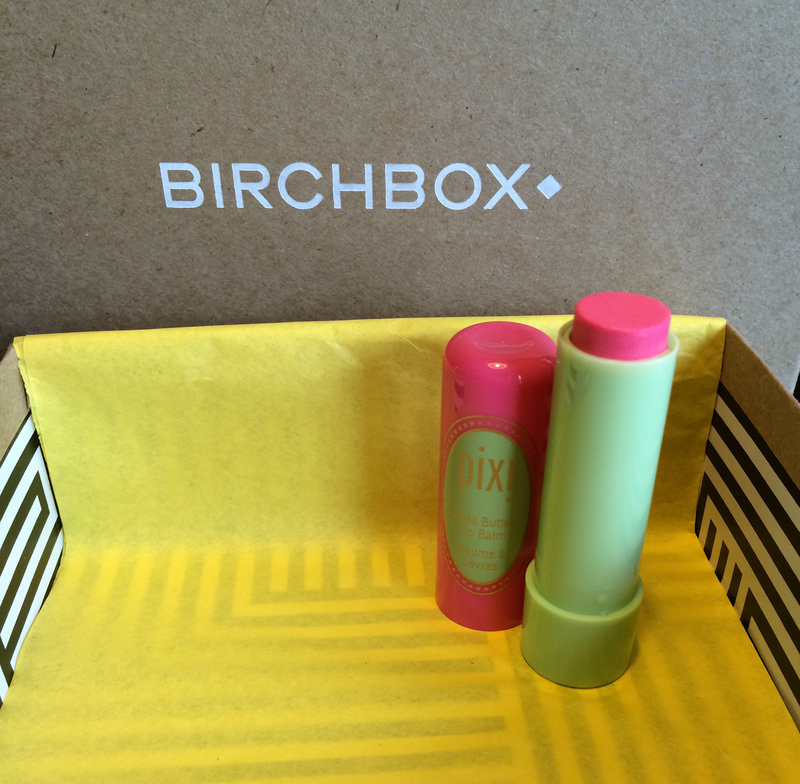 I saw the May sneak peak video and was hoping I’d get the Pixi lip balm so I’m really happy about that! 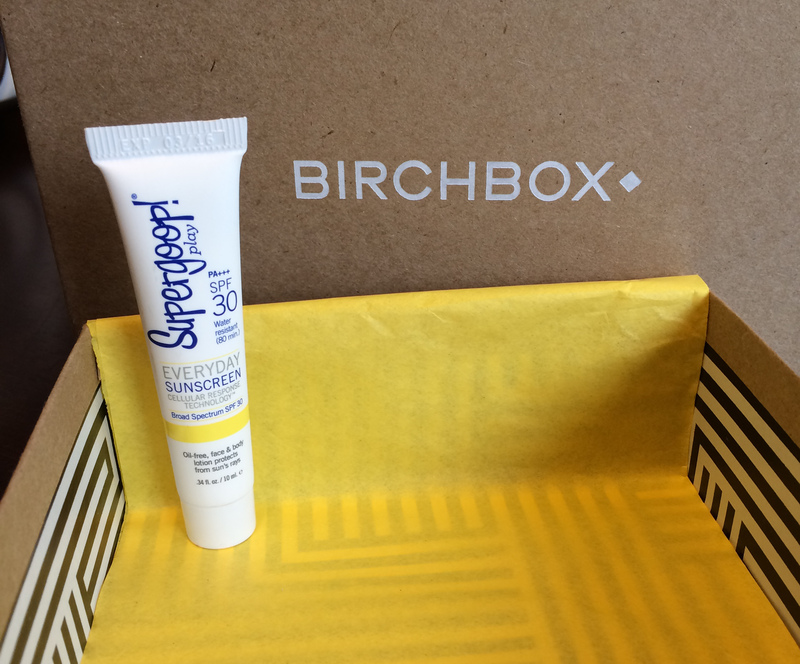 I was a little bummed to get another Supergoop!® product. Although they are different, they are both sunscreens…I guess I’m set for summer! Overall, I’m still pretty pleased with what I’ve been getting! 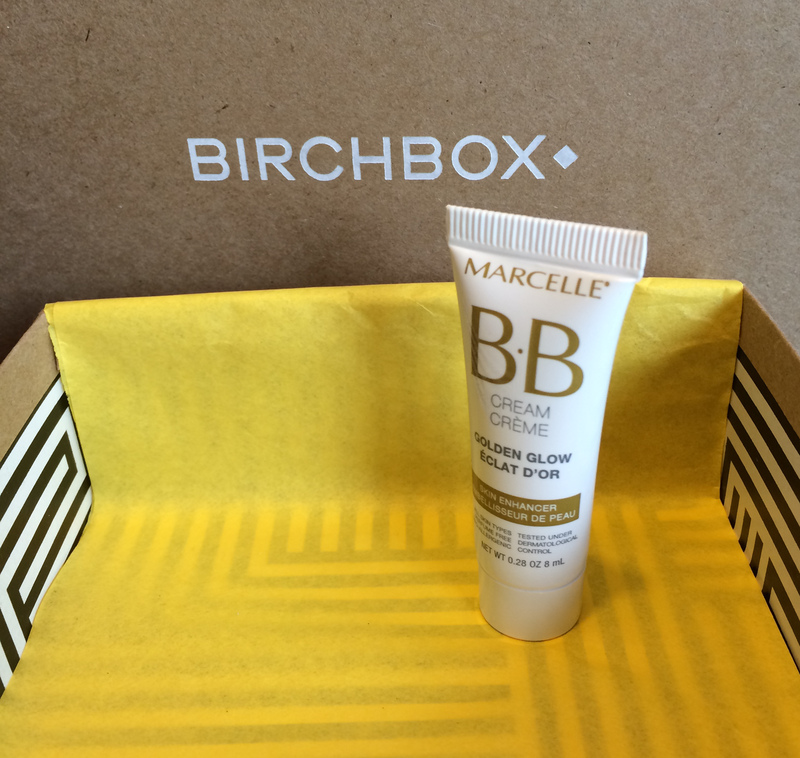 Keep it up, Birchbox! ** This is not a sponsored post. This subscription was gifted to me and I’m sharing my own opinions.